Short-term rental properties is to rent from one day to several months. 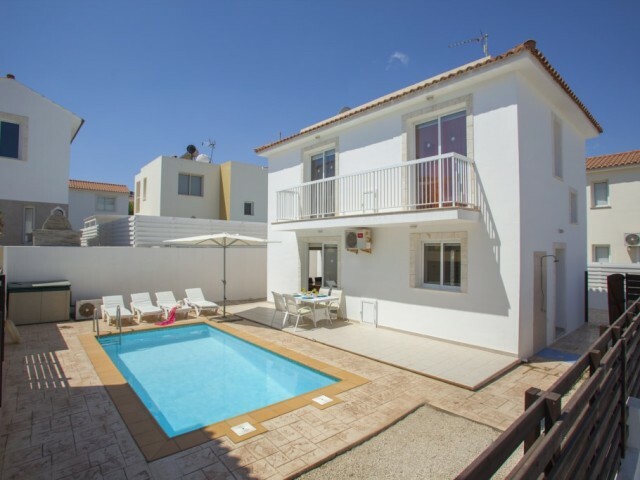 Company Cyprus Realty Center offers its customers a huge selection of properties for short term rentals. We will gladly help You to choose the best and the best option, take into account Your wishes. On our website You can book a property in any of the cities and resorts in Cyprus. For short term rentals are available in the following types of property: Villa, apartment, apartments, maisonettes, townhouses. We are also pleased to offer you a property for holidays and events. We will make Your stay don't forget! 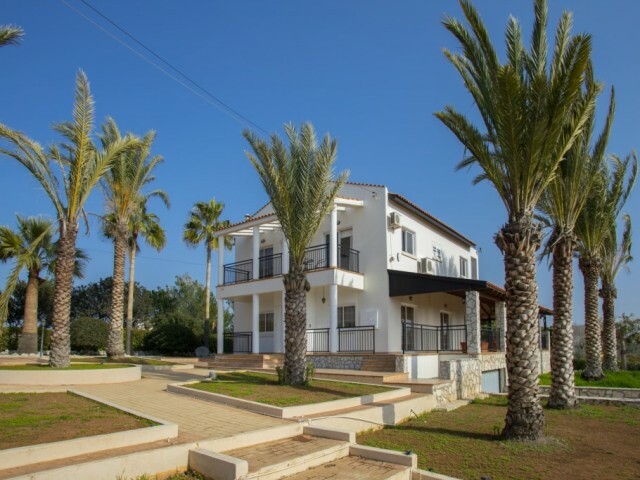 Villa with 3 bedrooms in Ayia Napa. Spacious open plan living room with comfortable sofas and a dining area. All rooms are air-conditioned. The villa is fully equipped with furniture and household appliances. Private pool with equipped area for su..
Three bedroom villa in Protaras is a 2 minute walk from the beaches. Three bedrooms and two bathrooms, private pool with garden. On the ground floor an open plan living room with kitchen and dining area. 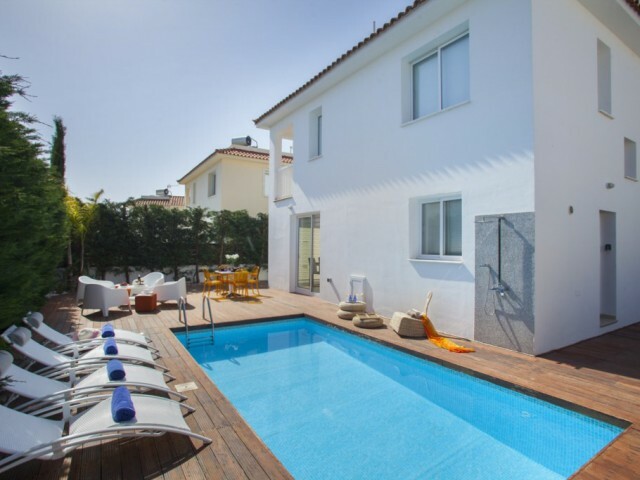 The villa is fully equipped with furniture ..
Modern and stylish villa with 3 bedrooms and a heated pool is situated in Protaras, a few minutes' walk from the beaches, bars, restaurants and shops. On the ground floor an open plan living room with kitchen and dining area. In the living room lu..
Two bedroom villa for rent in Paphos, located in Mesogi village, just a 10 minute drive from the center of Paphos. The combination of old and new, this traditional stone cottage has been completely renovated and decorated with taste and care to in..
Villa with 4 bedrooms located in the prestigious and quiet area, close to the sea. On the ground floor there is a spacious living room with open-plan kitchen and access to the garden. 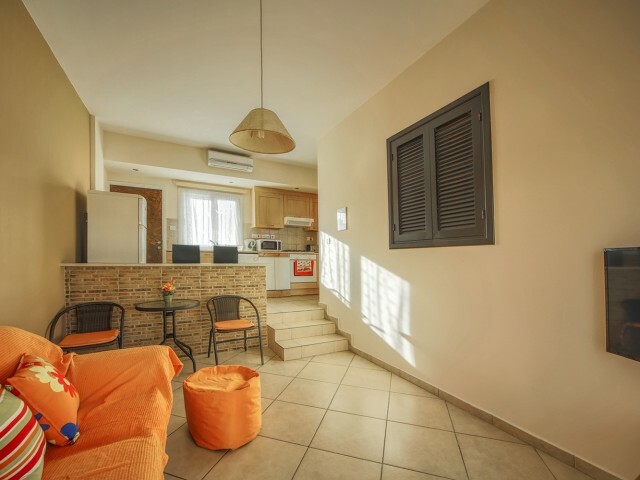 One bedroom is also located on the ground floor with a bathroom..
Charming 3 bedroom villa is located in a small and quiet complex near Mimosa Beach and Konnos Bay Beach in the Cavo Greco National Park. The villa is characterized by a spacious living area, which opens onto a veranda with pergola, where guests ca.. Fully furnished luxury apartment closed, gated complex The Residence. The complex is located on the first line 20 meters from the sea on the golden sandy beach of the Mediterranean, among the first-class hotels near St. Rafael and the marina. 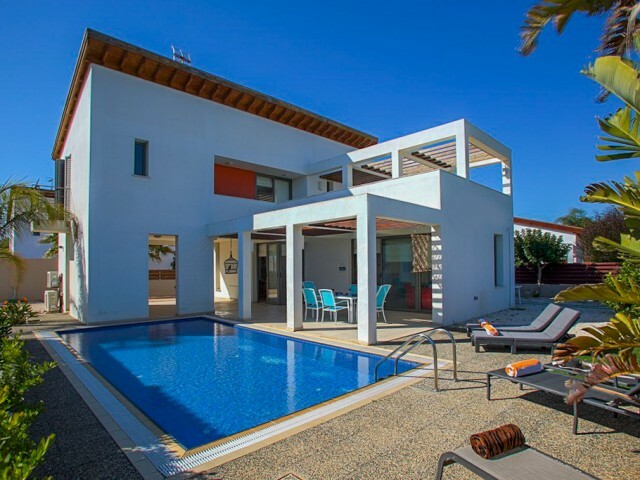 In w..
Modern villa with 3 bedrooms and swimming pool located 5 minutes away from one of the most popular beaches in Ayia Napa - Nissi Beach. The villa is located in a quiet and gated complex. Modern design, a mature garden with fruit trees, a spacious a..
Four bedroom villa on the first line in Paphos, next to the villa shingle beach, and a 10 minute walk from the villa, and a sandy beach Coral Bay. The villa is situated a five minute walk from the center of Coral Bay with a large supermarket, shop.. The apartments are located in a gated community across the street from the beach. The complex has a large communal pool and tennis court. The apartment is on the second floor. It has a living room, kitchen, bedroom, bathroom and a balcony overlook..